In August I had a video shoot for work pop up on my calendar in San Francisco. Jeff and I had never been to the city so we took the opportunity for a weekend away just the two of us to explore the city together. Here’s where we stayed, what we did and where we ate. Because this was a work trip, which tend to pop up last minute, I delayed booking our hotel until a few weeks out. And at this point, all hotels within the city proper were either full or completely outside of our price range. 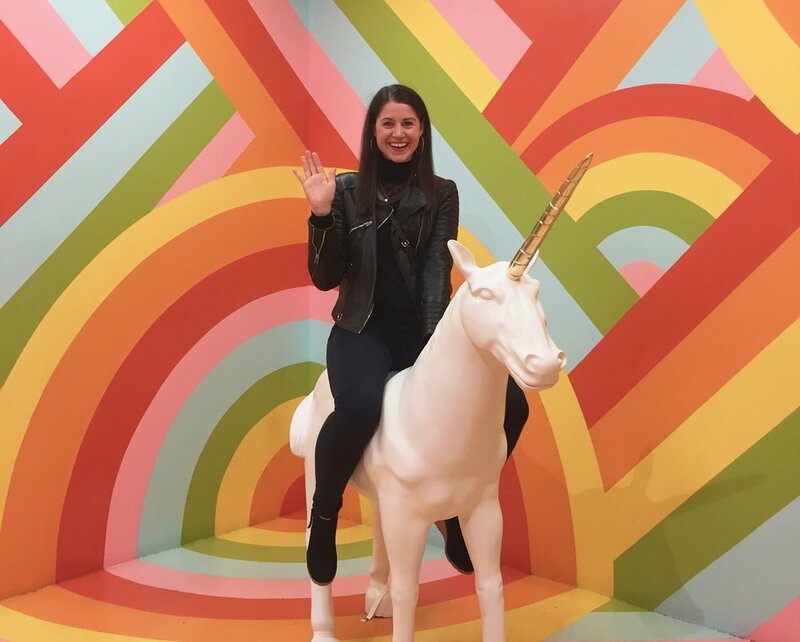 As an alternative, I took to AirBnB and found the steal of a century: ROAM San Francisco (one of 4 global locations) had availability during our exact trip dates and I clicked ‘book’ as fast as I could. ROAM is a network of co-living and co-working spaces that provides ‘everything you need to feel at home.’ In other words, ROAM is buying up sweet old houses and building and repurposing them into bookable accommodations that challenges the traditional hotel market - this 100% intrigues me. ROAM San Francisco was incredible. Not only was it clean, comfortable and provided increbile WiFi… but it was also the best location (right on Alamo Square - I’m not kidding, we could see the Painted Ladies from our bedroom window), had the nicest staff and some of the most incredible interior decor I’ve ever seen - and this coming from a gal who works for a furniture company. 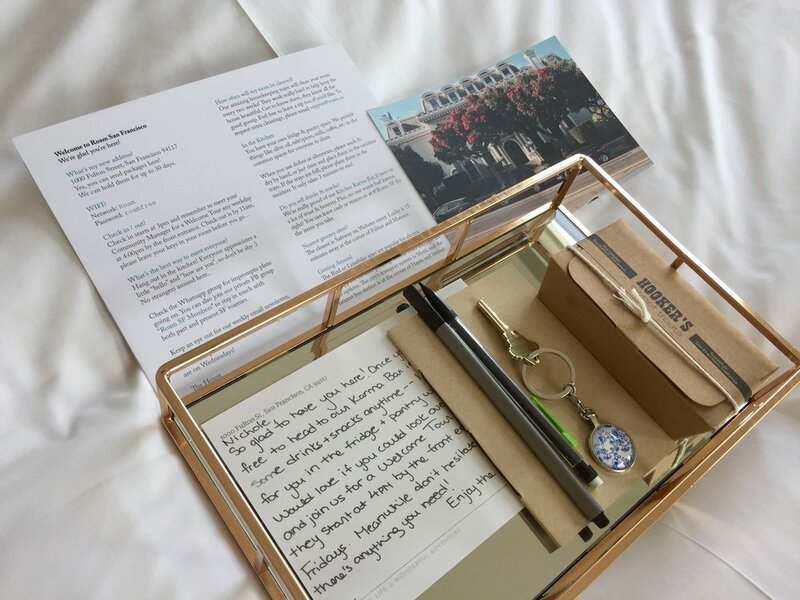 If you’re up for something new, pass on the hotel and book at ROAM for a great experience. 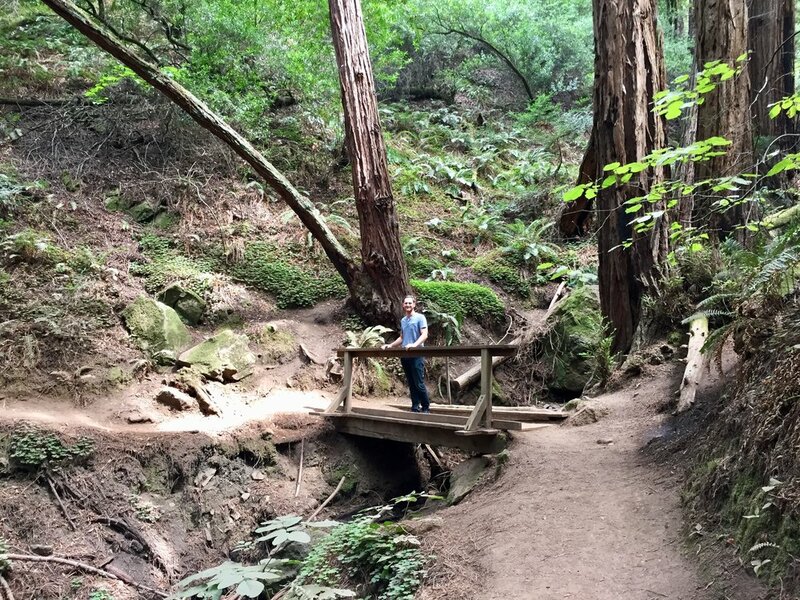 Hiked Muir Woods - This was so-so incredible. 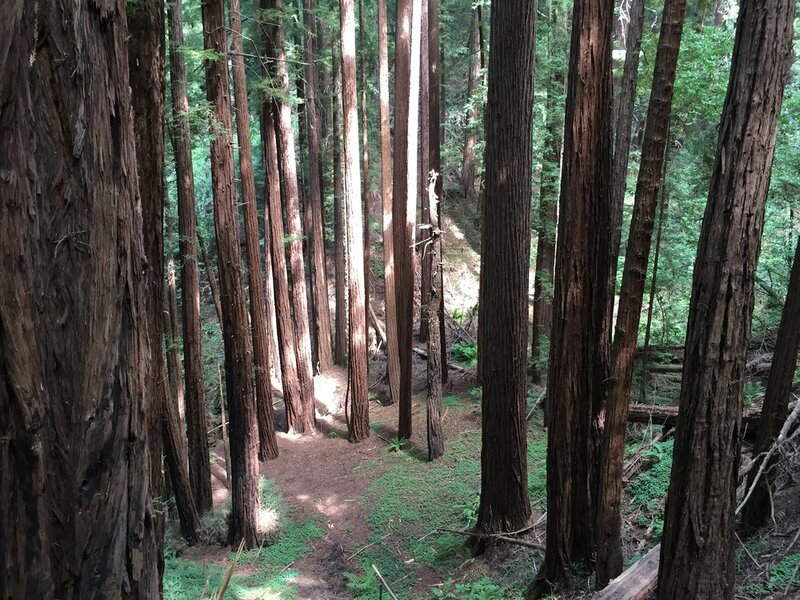 If you’re at all into hiking and/or nature, the Redwood Forest here is a must see. It takes a bit of planning to get there including booking tickets to the park and either reserving/paying for a parking space on site or booking tickets to a bus transport ahead of time - so be prepared. But the effort is completely worth it. Cross the Golden Gate Bridge - Lots of folks choose to bike, but we just booked an Uber that took us to our pick up location for the bus to Muir Woods. 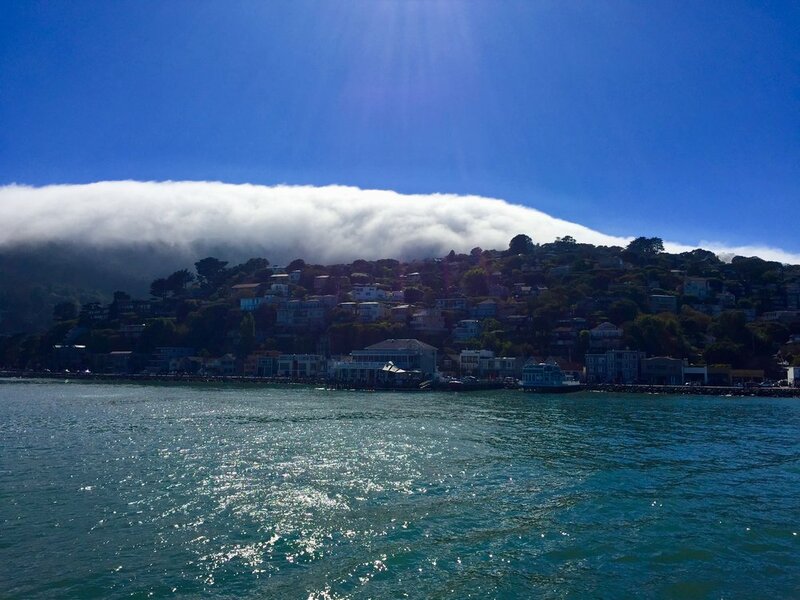 But no matter how you get across, make the trip to the other side and visit Sausalito. PS - Spoiler alert, the bridge is not golden. 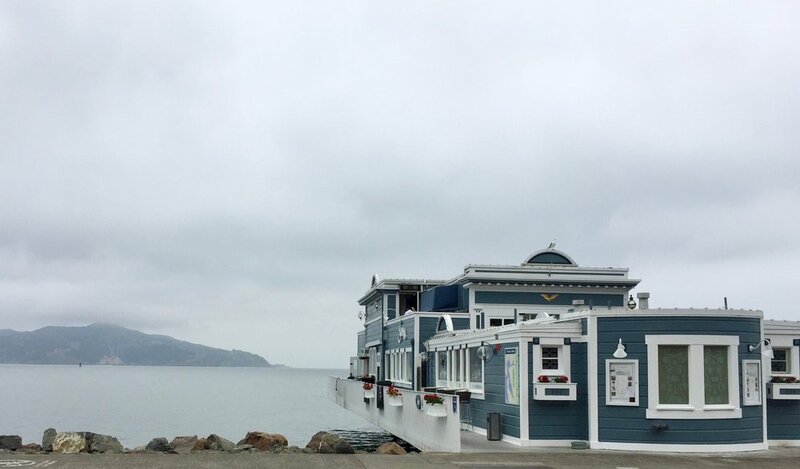 Visit Downtown Sausalito - San Francisco’s cute neighbor to the north is a short 5 min drive across the bridge. We took an Uber - our transportation of choice. There you will find cute shops and restaurants that will give you all the small town beach city vibes. Ride the San Francisco Bay Ferry - On the way back to San Francisco we purchased tickets ($7.50/each) to one of the ferry transports landing at Pier 41. 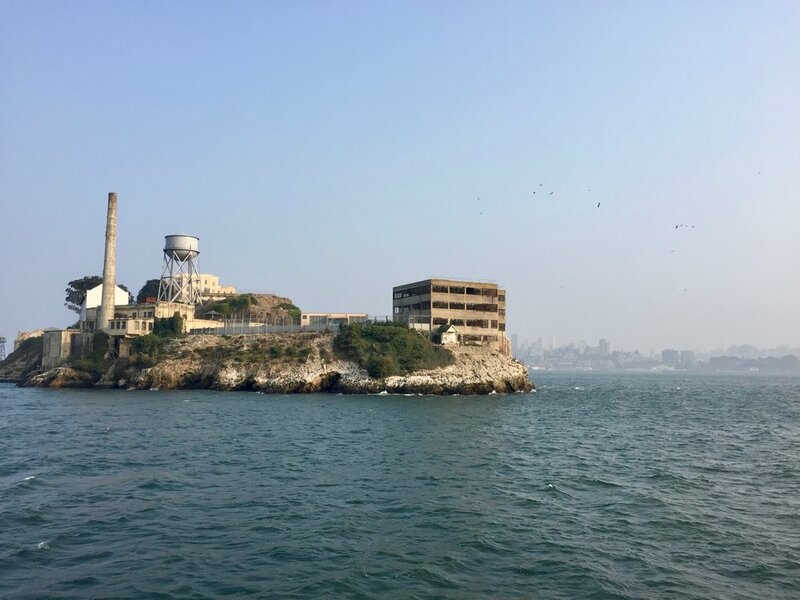 On the ride across you get fantastic views to Alcatraz Island (which might be your best bet in seeing the attraction if you didn’t purchase tickets to the island ahead of time) as well as a great view of the San Francisco skyline and Golden Gate Bridge. Fun fact - there is a bar on the ferry! Visit Alcatraz Island - Holy moly was this neat. We love historical tours and this one was quite unique. We got very lucky in snagging two tickets to their evening tour on Thursday night and our only regret was not packing a thicker jacket - the wind is something fierce out there! They have an excellent audio tour that’s given by men who once occupied the prison walls as both guards and inmates - so cool. 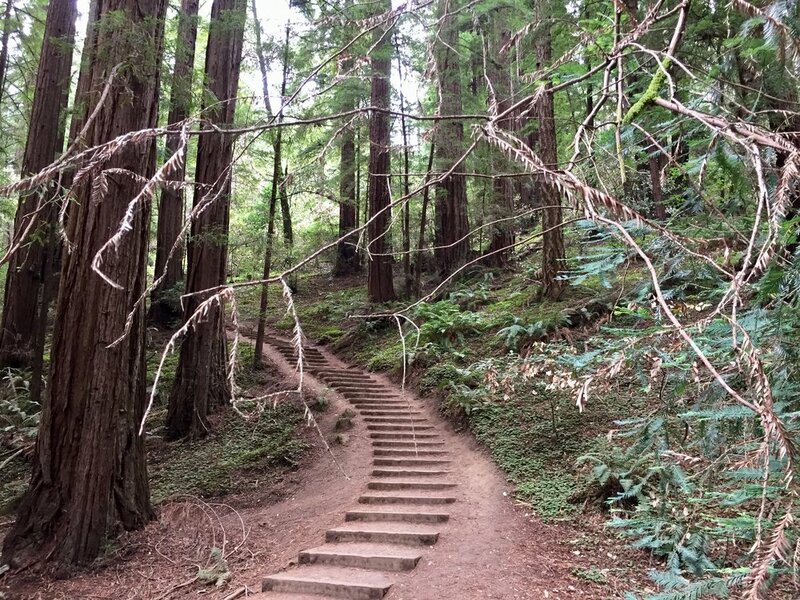 Hike Lands End - Another great, but way easier hike to get to in San Fransisco is the Lands End trail. 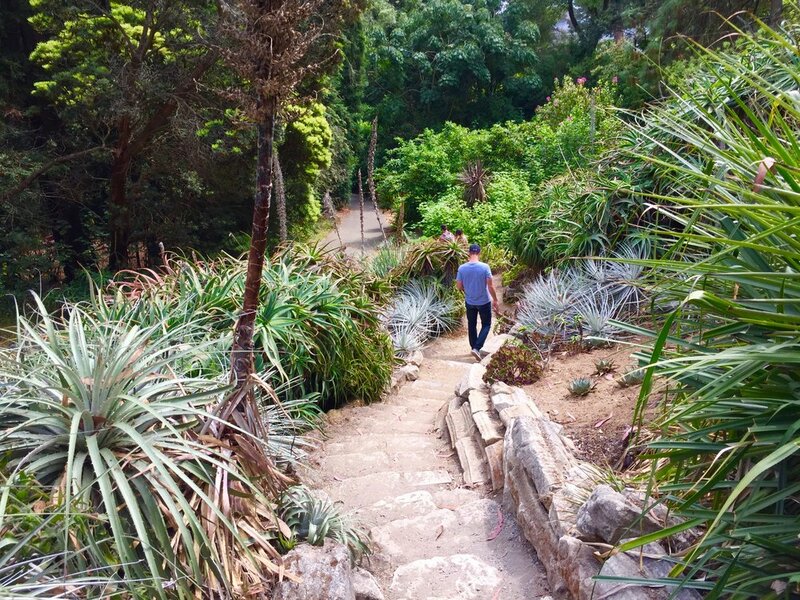 It has great views of the Sutro Bath ruins as well as Instagram worthy scenes of the Golden Gate Bridge. The trails have little spin offs that lead you to the edge of the cliffs where you can catch glimpses of seals sun bathing on rocks. Bike the Golden Gate Park - GGP is huge! with lots of things to see and do. You can purchase tickets to the Botanical Gardens, Japanese Tea Gardens, the Conservatory of Flowers or the DeYoung Museum. Or just enjoy your ride through the park and be sure not to miss the roaming bison or the twin Dutch Windmills just before you hit the Bay. We did check out the Botanical Gardens which were nice, but in comparison to Fredrick Meijer Gardens back home in Grand Rapids, it was not worth the $17 per ticket. There were also plenty of Segways roaming around if you’re into that sort of thing! Shop the Ferry Building Marketplace - A great time to tour the Ferry building is just before or after your ferry ride across the Bay. And if you happen to be there for the breakfast or lunch hour, perfect timing! It’s an indoor-open market of sorts and has plenty of options for quick bites, coffee and food shopping. You might even grab a snack/coffee for your ride across the Bay. 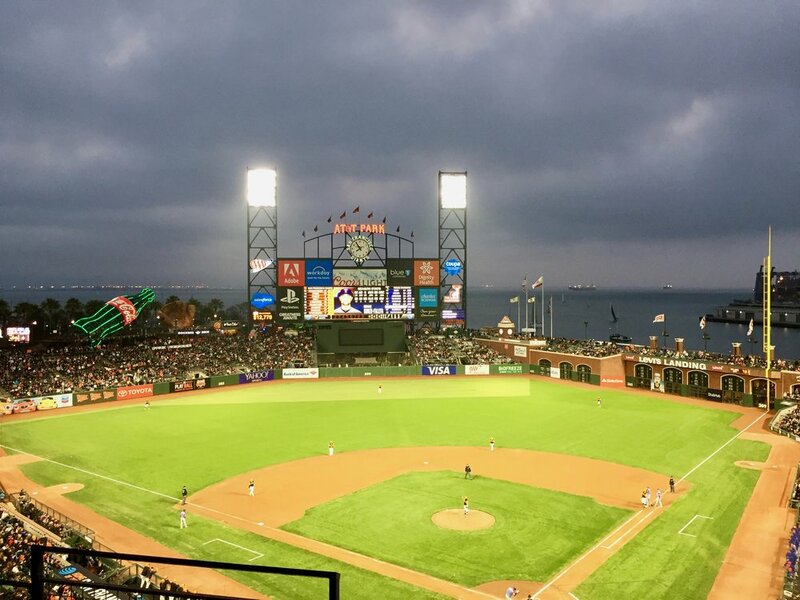 Watch the Giants Play at AT&T Park - Jeff is a huge baseball fan (while I’m a huge fan of hotdogs and popcorn) so checking out one of the best, if not thee best ballparks in the MLB was a no brainer. We got lucky and they had a home series the weekend we were in town so we snagged tickets for some cheap seats above home plate. The park is gorgeous with an sweet view of the McCovey Cove which is the part of the Bay off to right field famously named after former Giants first baseman Willie McCovey. We watched some baseball and ate some popcorn. It was a good way to spend a Friday night. Walk Along Fisherman’s Wharf & Ghirardelli Square - We were warned by locals to ‘just stay away’ from these places because they are so touristy. However, we don’t live in San Francisco and by default, that makes us tourists. So, we embrace it! Here is where you can find souvenirs and over priced bike tours. I hunted super hard for some California Republic t-shirts for the kids and surprisingly, failed miserably. You can also find a loading point for the famous trolly rides if you wanted to make that part of your trip as well. 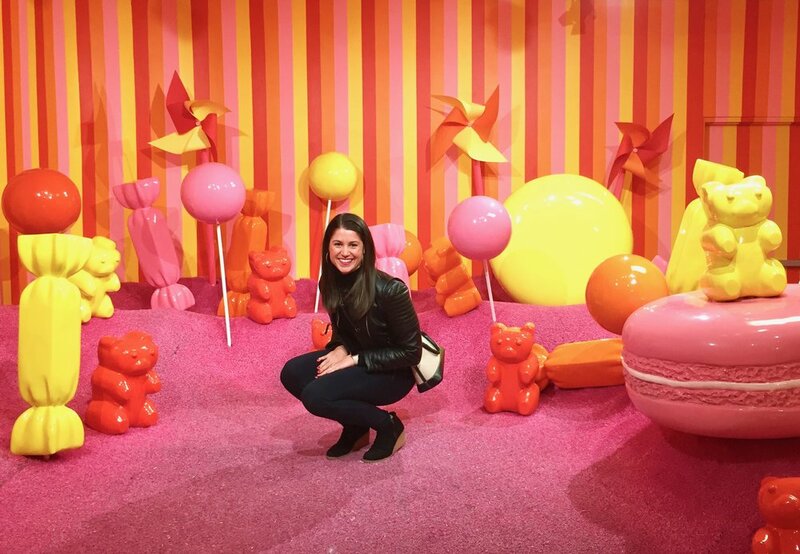 Visit the Museum of Ice Cream - I work in digital marketing and when there’s a social trend that’s covering my media channels I go nuts like a kid in a candy store - which is an extremely appropriate phrase here because that’s pretty much what the Museum of Ice Cream is… room after room of sugar inspired ‘experiential installations’ meant for (and this is my interpretation) taking pictures with. Yes, a place where you pay money for a ticket ($38 in fact), in order to take pictures of yourself, that are meant for posting to the internet. Go and experience it yourself! Burma Superstar - By recommendation of our neighbors back in Grand Rapids, we made Burma Superstar our first stop after checking into our AirBnB. It was a bit out of the way so we took an Uber from our place on Alamo Square but it was a good lunch choice and something we can’t get at home. It’s very small with not a whole lot of seating so the wait times are extensive - up to 2 hours sometimes! We went around 2p so we didn’t have to wait - the time difference was in our favor. Limon Rotisserie - Right in the heart of the Mission Square District, Limon Rotisserie was a little slice of Peruvian heaven! Their specialty is roasted chicken with your choice of all kinds of fantastic sides. I ordered garlic green beans and a side salad. I did, however, have food envy of our neighbors sweet potato fries! It’s a small atmosphere with an open kitchen concept that was great for our dinner date night out. CREAM - After dinner we walked over to CREAM for specialty, made to order ice cream sandwiches. Who doesn’t love a solid cookie sandwich with gummy bears?! Heads up, it’s a chain and they have locations in 4 different states around the U.S.
Mr. Holmes Bake Shop - This little place has three locations (2 in L.A. and 1 in S.F.) and is a bit of a social sensation. 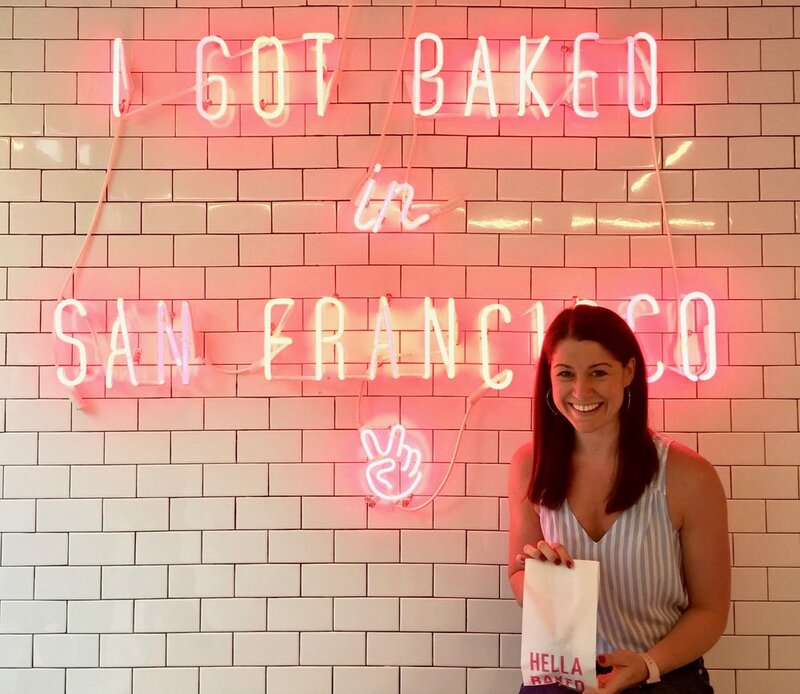 People go 50% for the baked goods and 50% to take their Instagram picture in front of the ‘I Got Baked’ neon sign. We ordered a cookie dough donut, snapped my pic and were on our way all within a few minutes. 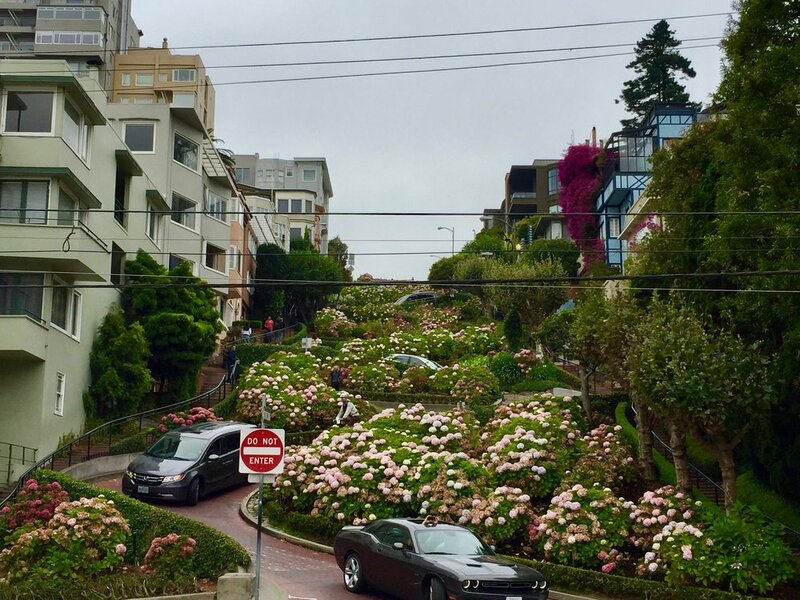 We saved our treat till we reached Lombard Street and enjoyed the calories with a view of the winding cars. Cliff House - This casual bistro house was the perfect place to rest our feet for a bit after the walk along Lands End trail. We ordered wine and some appetizers and oddly what I remember most are the French fries. They were thin, salty and very tasty! Cliff House has a great view of the Bay and was easy to get into. It’s a great place to stop for a drink, a snack and the view! Copita - This is a great Mexican food place in downtown Sausalito. Upon returning from our hike through Muir Woods we were starving and thirsty! Nothing sounded better than chips n’ salsa and a cold Corona Light with a lime. Copita was packed with tourists and for good reason, the food was delish. We snagged a few seats at the bar (our M.O. on this trip! Helps when traveling as a duo) and got wonderful service. Tartine - With locations in both San Francisco and L.A., you must add Tartine to your travel list! Their manufactory building was located two blocks from my video shoot that morning so I stopped in for coffee and a danish and was not disappointed. The coffee was fantastic and the danish was almost too beautiful to eat. I wish we would have visited sooner as we likely would have returned for dinner or lunch. Dress in layers! Everyone warned us about this and we took the advice, but should have packed more. I wore the same jacket every day. It’s incredibly windy and even a raincoat to block the wind would have been helpful and super light to carry around. There is TONS of diversity in San Francisco and we loved it! In most places we felt like the minority which is not the case back home. We were among folks speaking all sorts of languages. Residents who live in Sausalito get incredibly offended when you group them into ‘San Francisco.’ I made that mistake at one of the bars we stopped in for a drink - it was like I kicked his dog! There is a very large homeless population in San Francisco which leaves the streets very dirty and smelly in some spots. It’s a pretty expensive city to live and visit. Hotel prices rivaled that of New York and Chicago and the price of a beer was usually $2 more expensive than what we’re used to.